Preheat the oven to 375° and prepare the crust by combining all dry ingredients in a mixing bowl. Combine wet ingredients and add to the dry. Form into a ball of dough. Roll out the dough on a lightly floured surface until about 1/4 inch thick. Place in a tart pan and crimp the edges. Set aside while you prepare the filling. 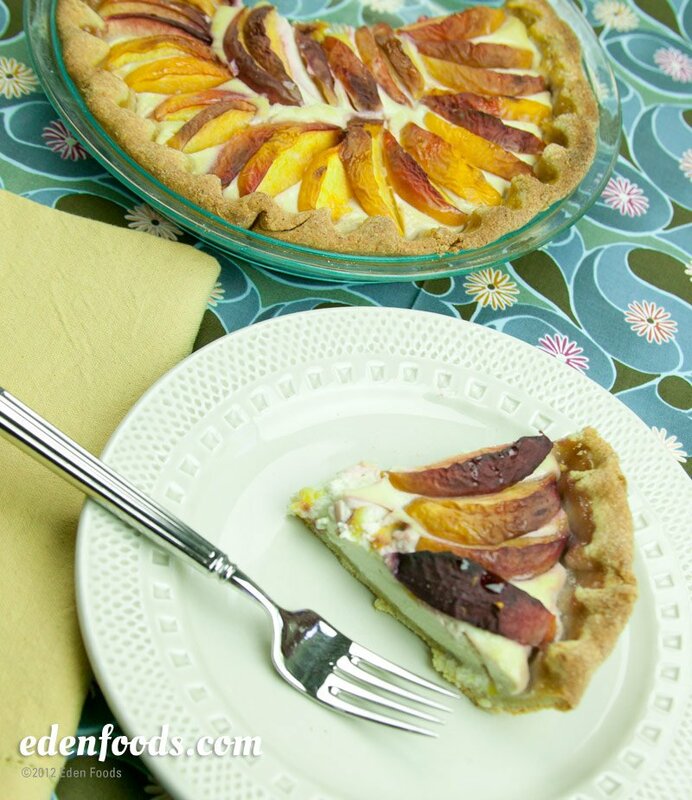 Place the all the ingredients for the filling in a blender or food processor, except for the peaches and maple sugar. Pulse several seconds until thick and creamy. Pour the tofu mix into the tart pan. Arrange the sliced peaches in a circle on top of the tofu mixture. Bake about 20 to 25 minutes. Sprinkle the maple sugar over the peaches and bake another 5 minute or so until the sugar melts. If using a metal tart pan, you can place the tart under the broiler for 2 to 3 minutes to brown. Do not broil if using a glass pan as it will shatter. Let cool and set before slicing.